Once regarded as the party of business, the Liberal Party yesterday took its biggest step towards redefining itself as a party representing consumers and small businesses ripped off by banks. 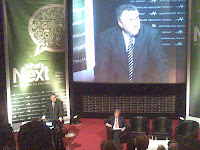 Launching a nine-point plan to reign in the power of the banks which he said was endangering the financial system Shadow Treasurer Joe Hockey assured an audience at a business conference his views were shared by the Shadow Cabinet. "Don't believe everything hear," he said. "This is a debate we have to have. We have seen an almost irrevocable reduction in competition in some areas of banking. The smaller banks are finding it hard to get funding. The foreign banks that were once aggressive are in intensive care." "Wallis was predicated on the efficient markets hypothesis, which has proven to be an imperfect assumption. The crisis taught us that financial markets can fail and liquidity can disappear. Entire banking systems can collapse. It would be a mistake to attribute Australia‘s good fortune in skirting the worst of the crisis purely to policymaking skill." So many financial institutions had disappeared or been taken over by the big banks that the four major banks had "largely become the Australian financial system". "Aspirations to grow more rapidly than that system therefore seem challenging." Labor responded by suggesting this was a new-found conversion, circulating a list of quotes from Mr Hockey a decade ago that appeared to say the opposite. 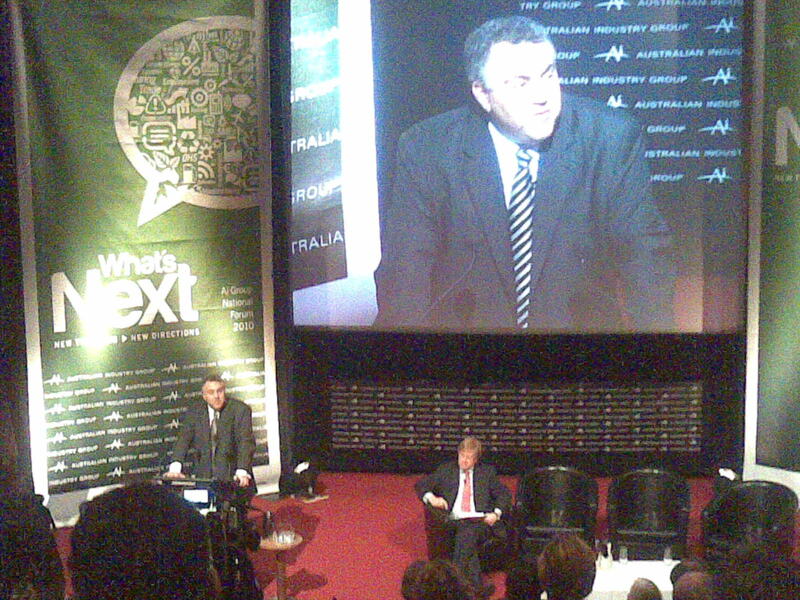 Assistant Treasurer Bill Shorten said Mr Hockey's comments had themselves "put pressure on interest rates".
. Hockey to spell it out: "It's time to talk Banking"
Broadband in the toilet: Why wait for the NBN? We're about to hit the shops? Parity with the US dollar? Don't bet on it. Money market left "standing in the rain"
Don't you love it when the ABS breaks the trend?